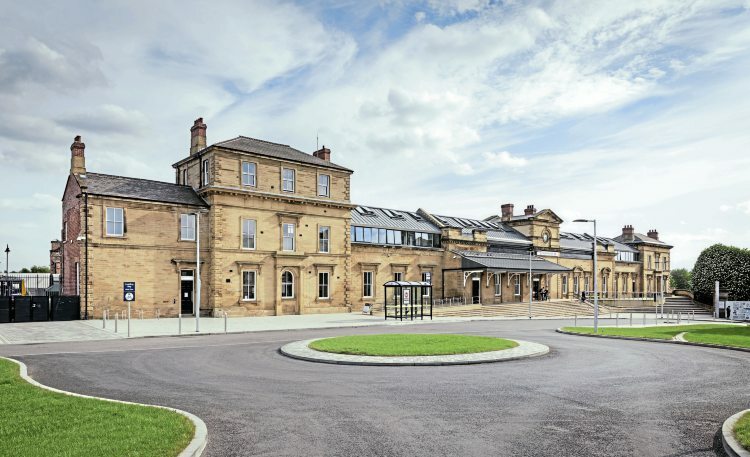 Operating largely out of public view, the Railway Heritage Trust (RHT) plays a vital role, working with the modern railway to protect and conserve Britain’s historic railway buildings and structures. Ben Jones met RHT executive director Andy Savage to find out more. NO COUNTRY in the world has a richer railway heritage than Britain. As the birthplace of the technology that provided the catalyst for the Industrial Revolution in the 19th century, we are blessed with some of the most important industrial and commercial sites of the last 200 years. While some are no longer used by the railway, much of that Victorian infrastructure is still in daily use, handling passenger numbers, speeds and train weights that would have been unthinkable to their builders. mid-1990s. Overseeing their activities and playing a key role in the conservation and restoration of historic railway assets is the Railway Heritage Trust (RHT). With Privatisation on the distant horizon, BR set up the trust as an independent not-for-profit company in 1985. Its mission was, and indeed is, “to assist the operational railway in its preservation and upkeep of listed buildings and structures, and to facilitate the transfer of non-operational premises and structures to outside bodies willing to undertake their preservation”. The RHT ensures important railway items remain intact and are cared for, both when they are in use and after their railway-related role ends. After BR was privatised, the RHT continued under the sponsorship of Railtrack, and later Network Rail, and Highways England’s Historical Railways Estate, which assumed responsibility for redundant railway lines and structures (those considered too expensive to sell off) after British Railways Board (Residuary) was dissolved in 2013. Funding continues to come from those sources. Read more and view more images in the June issue of The RM – on sale now! Previous Post:The Railway Publishers: 617 publications so far… and there’s a lot more to come!